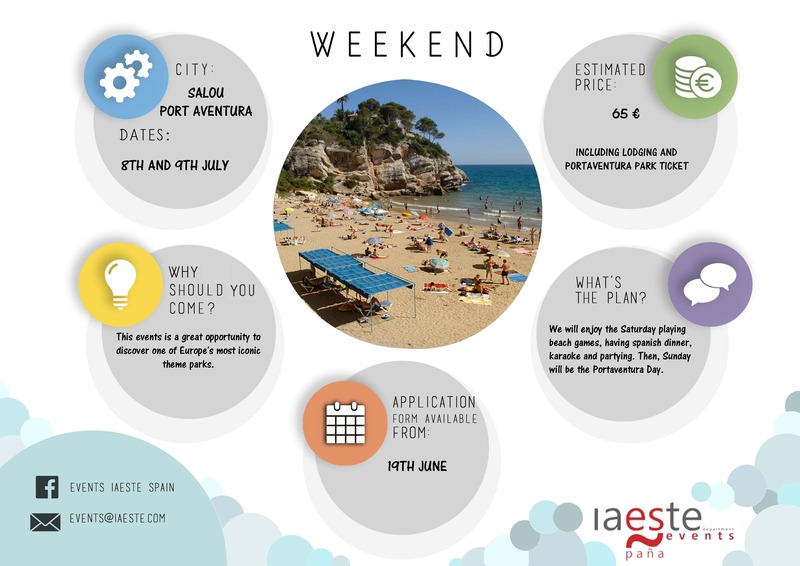 IAESTE Spain is happy to announce that the pre-registration to the first IAESTE summer event for the trainees in Spain is now open. It will take place in Costa Daurada (Cambrils and PortAventura) on July 8th and 9th. Registration is open now! The number of spots is limited! So make sure to register before June 30th if you don’t want to miss it!! You should know that it will be easier (cheaper and faster) to come if you are a trainee in the following cities: Barcelona, Zaragoza, Valencia and Lleida. It is a great opportunity to discover the most visited theme park in our country and feel Spain like a local in its beaches! !